Kashyap notched up twin wins in the qualifying round to reach the men's singles main draw. 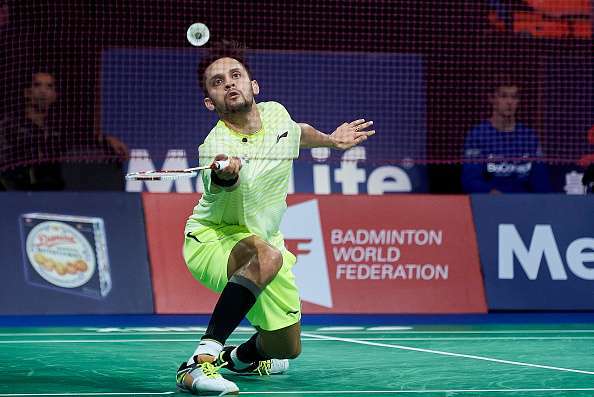 Commonwealth Games champion Parupalli Kashyap notched up twin wins in the qualifying round to reach the men's singles main draw at the USD 400,000 Hong Kong Super Series. Kashyap saw off local shuttler Lee Cheuk Yiu 21-13 21-19 after disposing off Chinese Taipei's Kan Chao Yu 21-12 21-10 in his opening match here. The Indian will play Korean Lee Dong Keun next. Indian men's doubles pair of Arjun MR and Ramchandran Shlok defeated Hong Kong combo of Li Kuen Hon and Yeung Shing Choi 21-14 21-18 before going down 19-21 17-21 to Korean combo of Kim Won Ho and Seung Jae Seo to bow out of the tournament. Indian mixed doubles pair of Satwiksairaj Rankireddy and Ashwini Ponnappa, who won the national championship recently, lost 18-21 11-21 to Indonesian combo of Hafiz Faizal and Gloria Emanuelle Widjaja in the qualifiers.